This rack was built for Advanced Lighting & Sound. 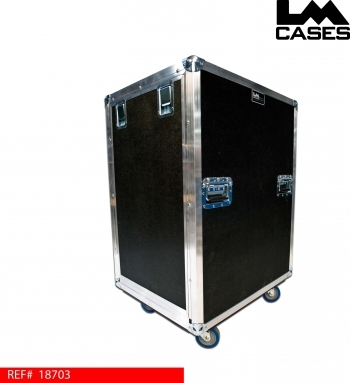 The flat panel racks great for situations where there isnt enough space to store traditional rack lids. These cases are also great for situations when you need to stack racks. With traditional racks, you need to move the casters in to make them hit the rack shell for stacking, flat panel racks allow you to keep casters in their traditional wide stance position for stacking. 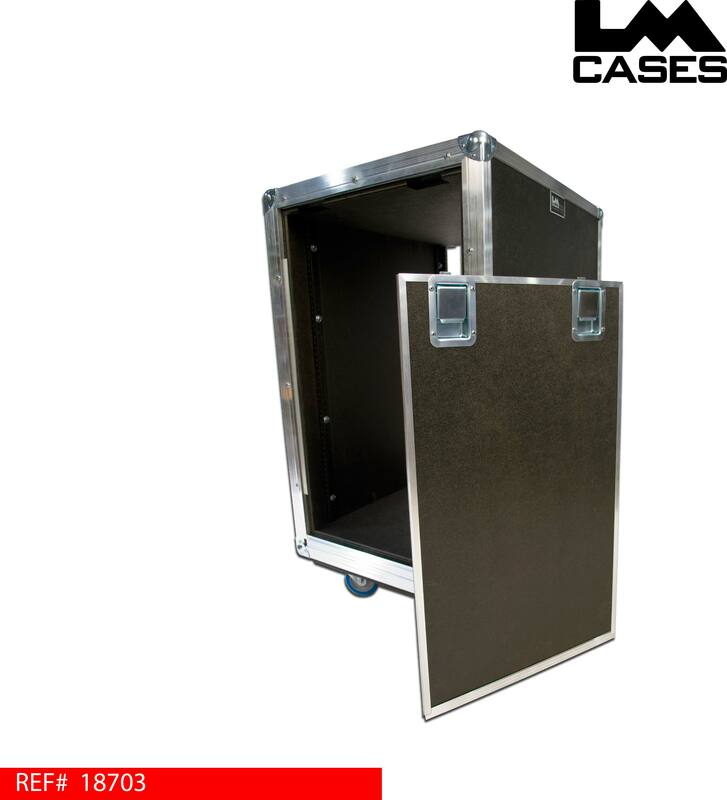 This rack is truck pack dimensions, the front to back exterior dimension from ball corner to ball corner is 30", this allows you to pack 3 wide in a 90" truck while allowing a deep 24" shell for internal wiring. Left to right the dimensions are 22.5" allowing you to pack 4 across in a 90" truck. The rack is internally shock mounted and features 4" Colson casters, and deep recessed handles.